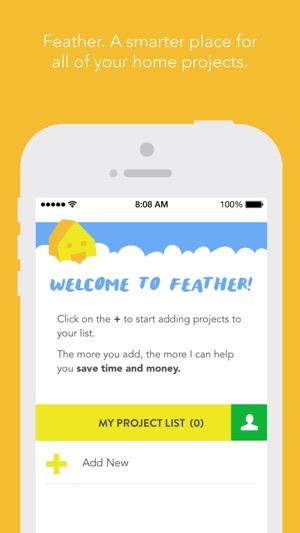 Feather is the smart solution for homeowners who need a simple way to prioritize, organize and share their home improvement project lists. 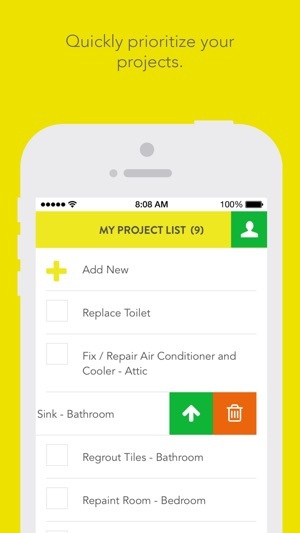 Whether it’s plumbing, electrical, painting, full remodel or small handyman work, Feather’s intelligent and friendly assistant brings exactly the efficiency and productivity you need to all your home projects. 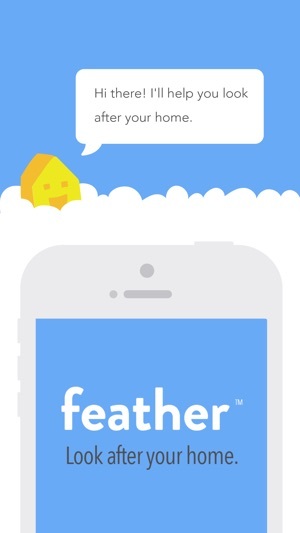 Look after your home with Feather. Love this! Within the hour after downloading Feather I transfered all my project lists that I keep on the back of assorted envelopes and scratch paper ( know, the pencil drawer is a terrible place to manage the upkeep of my most valuable asset). I also walked around to each room and inputted things I need fixed. I added some wishful thinking projects, too. Function to choose rooms and projects is very easy to use. 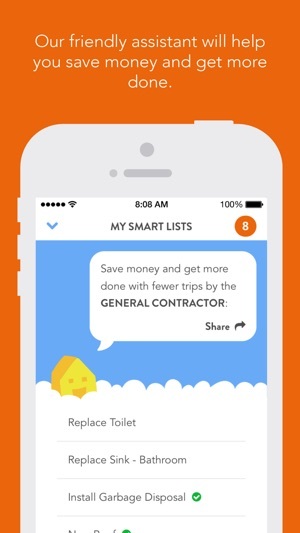 Cool feature allows me to share the smart lists with my handyman, or my son (after I convince him you can capture Pokemons with a paint scrapper). I stumbled across this ap last week and I'm kinda digging it. It's a cool way to organize all your honey-do's in one spot while adding some pretty nifty intelligence to connect the dots. Best of all I handed it to my wife and asked her to check out the cool way she can manage our list. She took my phone and walked around the house taking pictures of all the stuff I should be doing...Ugh!!! In any case, it's a cool ap with some way cool intelligence to make you think ahead to what's going to end up on the list if you don't get it done now. High quality app keeping me and my home organized!!! I absolutely love this new app. 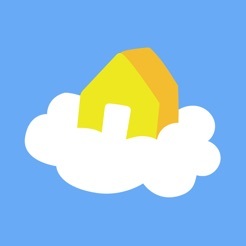 It has very user-friendly interface, great design (love the house in the cloud logo). 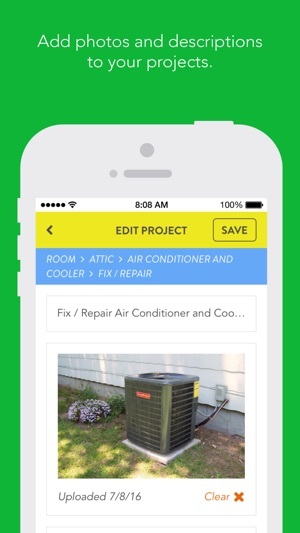 This app makes it easy for me to log, track and optimize all of my home projects! So convenient and well done! ©2018 Homesteady Solutions, Inc. All rights reserved.